If we’ve learned nothing else from how researchers and nutrition professionals are beginning to re-examine recommendations that were set in stone for the past thirty years, we should at least take away that no one knows everything. I am a passionate proponent of critically thinking about science and public policy, especially around healthcare. It surprises some people I’ve met in “alternative diet” communities, or groups supporting alternative approaches to cancer treatment, that I am skeptical of just about everything. If I haven’t been clear, let me say that I absolutely do not advocate turning down recommended standard care for cancer. I just think that there are holes in our healthcare management system, and that diet and lifestyle approaches deserve a place in the treatment strategy. I do, however, also support every individuals right to decide what is the best approach for them and their family; I think that to do this, you need access to good credible information. Given that, you should follow your own light. There’s a quote I like that says “unquestioned beliefs are not beliefs, but superstitions”, attributed to Jose Bergamin. I think this was probably said in reference to religion or politics, but I it’s suitable in reference to diet and lifestyle dogma as well. 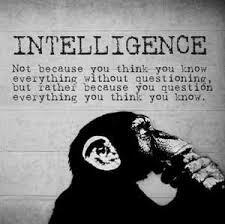 I think critically questioning information is the key to separating what is true, or at least plausible, from pucky. Given that, this week I undertook a little web research to read what opponents of the ketogenic diet and its value in cancer management might have to say. This is an exercise that I think is important when you find any new claim or information – go out and read both sides of the issue. Look at the sources the information is coming from. Then decide for yourself. 1) The basis of the theory behind why ketogenic diets might limit tumour growth is plausible and the historical research of Dr. Otto Warburg, a Nobel Prize winning biochemist, is sound. 2) There are currently some very strong claims being made about the value of this approach by Dr. Seyfried and others working in the field, without equally strong human clinical research in support of these claims. 3) All of the published research studies in this area to date are in rodent models; Gorski provides a short summary of the “current state of the art”. 4) Some anecdotal reports have been published regarding the use of the ketogenic diet in human cancer patients, but they are not well-designed clinical trials; Gorski also summarizes these and outlines what he sees as weaknesses in them. 5) There are, however, some clinical trials currently ongoing that will provide more data; Gorski highlights four trials to watch. 6) It cannot be overstated that with so little real human clinical data, we are not likely at a point where we can say with any confidence that a dietary approach like this can or should replace chemotherapy or other standard of care treatments. I fully agree with this. If you’re prepared to open your mind to the other side of the argument, I encourage you to read this article. I don’t disagree with much that is presented, and I think it employs a good analytical approach to examining the current state of the research. Put on your thick skin, because it’s also pretty detached, and the comments are downright strident. I did record my own perspective before the comments were closed, and other readers pointed out that my perspective is just one more anecdotal case, and that one person’s perspective doesn’t really count in science. This is a true, if harsh, reality. All of that said, the only way knowledge ever advances is if thinking people study ideas that are plausible in order to prove or disprove them. And while one person’s story doesn’t really prove or disprove anything, I’m still one person who has to make choices. In order to make those choices, I think it’s responsible to examine opinions on both sides of any issue. I have to admit I was dismayed at the attitudes I saw in the comments, I know I shouldn’t be surprised by the levels of cognitive dissonance and confirmation bias that exist in science but it still shocks me to see it. When the one cancer researcher told me to read “Mistakes Were Made – But Not by Me”, a book I have read and took to heart – I was flabbergasted because the book is about people who get locked into an opinion and can’t ever change it – considering I used to believe in the conventional wisdom on cancer and diet and subsequently changed my mind when faced with the actual evidence pretty much assures me that I am not suffering from cognitive dissonance. Anyway, it was a frustrating experience all around but I was happy to see when you popped in for a visit. I think we will never change the minds of scientists who aren’t capable of adapting but if enough people talk about their own experiences and successes, ordinary people will stop accepting what they say without question. Tom Naughton of Fat Head fame did a nice video of the concept. Hi, Bob, I feel your pain, truly I do. To be honest, I only scanned the comments to get the flavour of the discussion, and I got what I expected in reply to mine. I think there’s a good dose of ivory tower syndrome going on there – it’s very easy to argue the finer points of “proof” from a theoretical and experimental perspective, when you’re not the person searching for an action to take in a life that has lost the illusion of control! This is a glimpse into the scientific machine at work, however. Scientists are passionate; they’ll argue for what they believe in, but they should also argue for the Method, for what is the correct way to reliably prove something and make advancements. That’s largely what we see on that thread of comments, as frustrating as it is. That, and a dose of good old fashioned internet trolling. Grain of salt and all that. I agree wholeheartedly with you that if it’s too early to say that ketogenic diet is better than chemo because studies aren’t in yet, then it’s too early to say it’s of no value. Double edged sword, that thing we call logic. A fellow called Lawrence Krauss, a physicist, wrote a best selling book called “A Universe from Nothing” in 2012. I’ve seen him speak, and he’s a very passionate advocate of proof and science. But he studies the physics of how the universe may have formed. From nothing. That’s theoretical at its best, and difficult to prove. He says, repeatedly, that we don’t know everything, we can’t know everything, but we can judge what is plausible and build on that. I like that. > count in science. This is a true, if harsh, reality. Well, with many cancers, the SoC (Standard of Care) doesn’t have much to offer except misery, poverty and little or no actual life extension. So one’s choice might come down to: be an SoC statistic or be a rogue anecdote. That said, skepticism is warranted, as is keeping an eye out for any surprising new developments. It’s almost always a mistake to replace old dogma with new dogma. I suspect that if KD were the “cure” for cancer, we’d know by now, as it’s been 2 years since Seyfried’s book, and there are any number of people declining rad and chemo and willing to give it try. When Dr. Barry Marshall’s helicobacter pylori upset the “ulcers can’t be caused by bacteria” dogma, it didn’t take very many years before antibiotics replaced the previously useless SoC for the ailment (but it did take decades before he got his Nobel for it). KD appears to at least be a cancer management tool, providing a holding action. That alone is often more than the SoC can promise. I’m also personally betting that low carb / high fat / low inflammatory has prevention value. Boundless, thanks for this, again, you always seem to get to the center of things. “Rogue anecdote”, I like that. I agree with everything you say. I don’t actually think there’s a diet, or a tea or a berry out there that is the “cure” for cancer. It’s much more complex than that, and I believe has roots both genetic (inherent and acquired) as well as metabolic and lifestyle related. And I heartily agree that it’s likely that diet and lifestyle interventions are likely most valuable for managing risk (prevention) rather than managing full blown disease. Thanks again for reading and engaging. HI All – I’m in week 3 of a 6 month clinical trial for a new combined chemo/+tablet approach to Angiosarcoma treatment. Of course as soon as I was diagnosed I came across the Ketogenic diet. I asked the Professor in charge of the trial what he thought about the diet and he said It’s Internet hype – don’t change anything radically but also don’t go to McDonalds every week – HIs words!!! In the past 6 weeks I have absorbed every bit of information about anything that might be able to help me – The fact is Cancer cells need sugar to survive but all other cells in our bodies can happily survive on Fat/Ketones….. I simply cannot but sugar in my mouth!!! I heard on one of the many podcasts that I have listened to that Chemo drugs have a glucose base – I cried when I heard this, but it didn’t change my determination to maintain some sense of control of how I nourish my body…. Because of the chemo, I am probably not in Ketosis – atleast for the first 2 to 3 days after the chemo, but by the 4th day after I can tell by the smell of my urine that I probably am – I was going to buy a blood meter to measure my ketones and blood glucose but I really don’t want to see my hard work being for nothing after the the awful days of chemo drugs being pumped into me – Ostrich much?? YEP!! The main point is that I am doing something that I don’t believe can hurt and may even help the SoC and it gives me a sense of control which when you are diagnosed with such a rare condition as Angiosarcoma, is extremely important!!!! Hi, Louise, thanks for reading and for sharing this. I love your logic, this is pretty much how I felt, I like to find that synchronicity with people. How can it hurt, right? When I hear people sharing their doctors’ reactions, I guess I got pretty lucky. I have one doctor who wasn’t totally on board, but was curious and didn’t advise me against it. My surgeon said “Well, we could all probably stand to cut out sugars and carbs, sounds good”. And I had a couple of specialists who were indifferent. I imagine them arranging their faces into their “this is how I look when a patient tries to educate me about the miracle cure they’ve found” expression, then moving on. I applaud you for your energy in finding this information and getting into it so quickly, I blundered about for months before finding something that gave me a sense of control, as you put it, which really is so important. Did you know there are studies that show that meditation, yoga, etc. can help outcomes in various treatment plans, not because they necessarily add some biological factor, but because they help manage stress and attitude, and that actually contributes to treatment success? I also think the approach you’re taking, given that you’re undergoing chemo, is a good one. You can’t get too fussed about blood numbers, you need to keep your strength up and eat healthy, which I believe includes cutting back on sugar and including some healthy fats, and not being saturated fat phobic. I don’t think it has to be more overwhelming than that. Your comments are inspiring, thanks again. Interesting outlook on keto and how it affects the body. Any idea when they’ll be any more whitepapers or data talking about these facts? I was diagnosed in September with extrapulmonary small cell carcinoma localized in the lymph nodes of my left armpit. This is a very rare form of cancer that actually has an excellent prognosis. Before my diagnosis I was successfully practicing a ketogenic diet. I felt good, and my lipids were terrific. At the point of my diagnosis I had lost 50 pounds. During my chemo and radiation, I managed to gain back 20 pounds. I think this was due to the fact that during my treatment, my body began craving carbs; high-quality carbs, but carbs nonetheless. Apples, oatmeal, pineapple, whole-grain breads, etc. I also continued to eat the fat, veggies and protein of my ketogenic diet. My treatment began with chemo, two different drugs: cisplatin and Etoposide. My cancerous lymph nodes had bunched together in my armpit to create a lump the size of a racquetball. The first round of chemo managed to shrink it by three quarters. Radiation was added to the chemo, and at the end of four cycles of chemo and 27 days of radiation, the lump was gone, and my doctors are both very pleased with my response to both the chemo and radiation. It has been one week since the end of my chemo, and two weeks since the end of my radiation. I have been assigned a nurse practitioner survivorship specialist/nutritionist, and both she and my doctor are encouraging me to follow a Mediterranean diet. Mainly, eating real food, whole foods, and keeping away from sugar, processed foods, foods with chemicals, and trans fats. I’ve asked them both about continuing my former ketogenic diet, and although they are very positive about it, they want me to limit red meat, and eat vegetables and fruit, whole grains and yogurt, since all of these things are purported to contain cancer fighting properties. My doctor is highly experienced, has proved to me that he knows what he’s doing, and I feel a strong trust in his guidance. That said, he and my nutritionist believe that I had very mild side effects from both chemo and radiation because of my ketogenic diet. So, I’m struggling with how to eat in order to best gird my body against cancer cells. I understand the concept of “starving” the cancer cells using the ketogenic diet, and I also understand preventing cancer using mediterranean foods. Obesity is also a risk for cancer, and I still need to lose another 50 pounds. The ketogenic diet is pretty much my only best bet for doing so. What’s a woman to do??? Hi, Casey, thanks so much for reading and for sharing your story. My first thoughts are that there are a lot of positives here, that you already were so well informed about diet and nutrition options really puts you so far ahead of many people. And I’m so glad for you that you have such strong support from your doctor and care team, you are very fortunate in that as well, I like to hear positive stories about that. I completely appreciate your frustration, I was feeling frustrated just reading the conflicting dietary advice while I was going through your post. Some of what I get most upset about is the uncertainty we face, your story is a perfect example. I naively thought, before being a patient myself, that some expert or experts would tell you what to do in these situations, and was dismayed to see how far that is from the truth! I think we each have to figure out what is best among the options for ourselves, and base that on our own research, and the advice of professionals we trust. I try to maintain some perspective on these things – I actually believe it’s unlikely that any single food or supplement will either prevent/cure or cause cancer, so I try not to get disproportionately anxious about it. In general, I try to make what I believe to be an informed choice and stick to it unless there is credible reasons not to; I think that’s all we can do, really. For me, that gives the greatest peace, in feeling like I’ve done my homework and made a choice and also knowing that in so many of these situations, there aren’t right and wrong choices, really. Often we are just trying to do the best we can! I’m also glad to read that your doctor and nutritionist believed that the side effects of your treatment were milder than they could have been, and that it was down to your diet. I’ve heard that reported before, and I’m glad to see it here again, firsthand. I wish you the best, it really sounds like you’re a warrior! Adding prebiotic fiber (aka resistant starch, RS) and a course or two of probiotics (the actual gut bugs) to ensure a desired population spectrum, is something that is completely compatible with KD or R-KD. With attention to net carbs, most RS sources do not provoke BG. Since my last comment on this, I made the decision to go back to strict KD. It’s easy for me to maintain, actually feels pretty decadent since I love butter, cream, salmon, broccoli, etc. I also read Trevor Christofferson’s new book, Tripping Over the Truth, the Metabolic Theory of Cancer. I was astounded to see myself, hypothetically, in the pages. I was on KD when I started treatment, had very mild reactions to both chemo and radiation despite at least one of the harshest drugs around, the huge lump shrank immediately and completely even before treatment had ended, and I felt healthier and better coming out of treatment than I have for years. So, I’ll accept the title of anecdote for now and be glad of it! I just took delivery of my copy of that book! Wishing you best of keto, Casey!